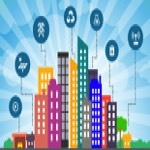 This research theme represents a concerted effort to generalize sustainability, and resilience across research themes to interdependent smart city infrastructures. We are particularly interested in systems where two or more intelligent engineering systems are integrated together. A Hetero-functional Graph Theory for Modeling Interdependent Smart City Infrastructure (2018): This book presents a hetero-functional graph theory that explicitly recognizes the heterogeneity and hetero-functionality found in interdependent smart city infrastructure applications. Axiomatic Design in Large Systems: Complex Products, Buildings, and Manufacturing Systems (2016): This book emphasizes that applicability of Axiomatic Design to large systems including complex products, buildings, and manufacturing systems. An Engineering Systems Introduction to Axiomatic Design (2016): This work explicitly shows the methodological origins of hetero-functional graph theory in Axiomatic Design and goes on to explain how the two can be applied to the engineering systems field. Static Resilience of Large Flexible Engineering Systems (2014): This work presents how hetero-functional graph theory can be used to calculate resilience measures for large flexible engineering systems with explicit heterogeneity. Architecting a System Model for Personalized Healthcare Delivery and Managed Individual Health Outcomes (2017): Building upon recent work in mass-customized production systems and applying hetero-functional graph theory, this work presents an architectural model for personalized healthcare delivery systems. The Need for Systems Tools in the Practice of Clinical Medicine (2016): This work emphasizes the need for model-based systems engineering tools in the practice of clinical medicine as it transitions to personalized healthcare delivery systems. An Application of Quality Function Deployment and Axiomatic Design to the Conceptual Design of Temporary Housing (2016): This work recognizes the worst ongoing refugee crisis in history and applies QFD and Axiomatic Design to produce a temporary housing design. Axiomatic Design Based Volatility Assessment of the Abu Dhabi Healthcare Labor Market (2015): In this work, we showed that as the Emirate of Abu Dhabi has developed in recent decades, its ability to retain its healthcare labor capital has significantly degraded.